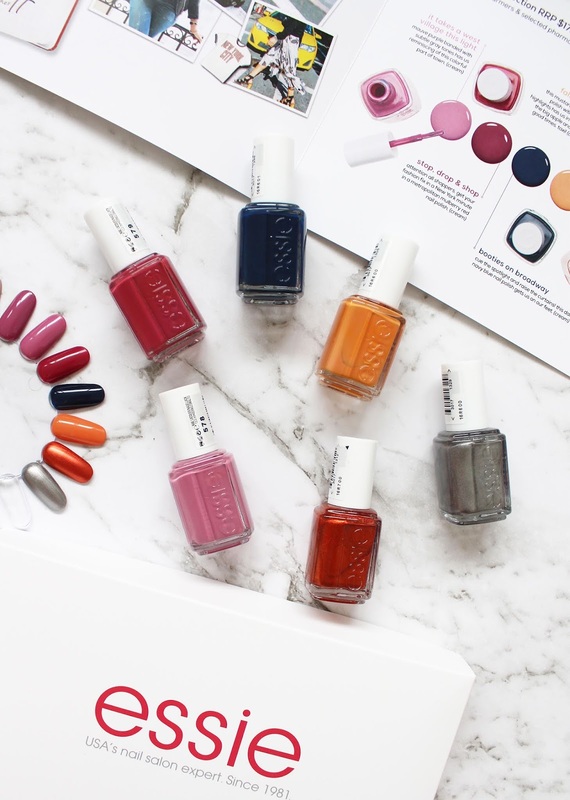 A brand new essie* collection is hitting shelves now and this one has blown me away. Inspired by New York, the Fall 2018/19 Collection contains a range of super unique shades in creams and metallics. New York is at the very top of my travel wishlist so this collection already gets a huge tick from me. The collection has six shades, most of which I don't have anything similar in my nail polish stash. 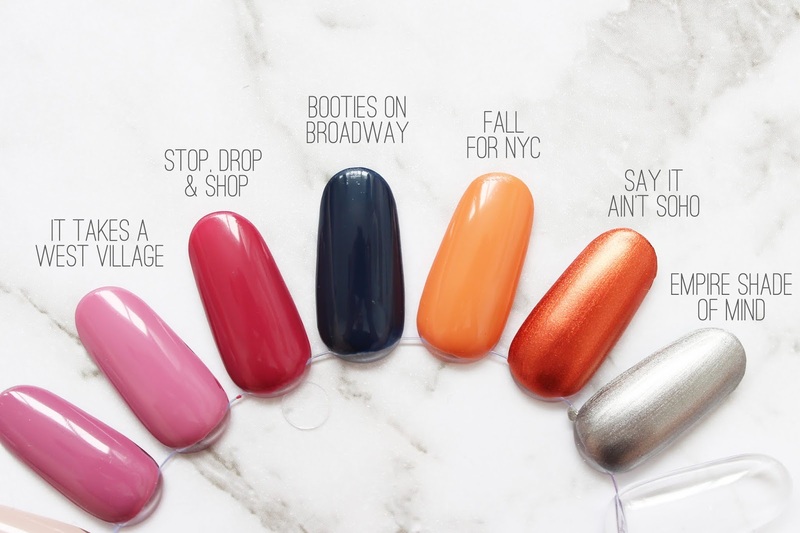 The shades are beautiful and the names are also spot on, taking inspiration from the Big Apple. Each of these swatches shows only one coat and I am really impressed by the opacity of them and how well the metallics look as sometimes these can be quite streaky. 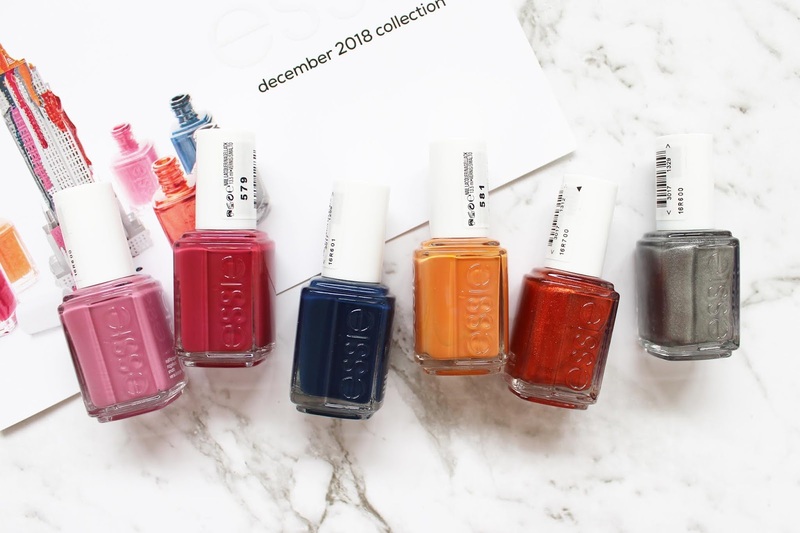 The shades break down as below with descriptions from essie.com. IT TAKES A WEST VILLAGE | light mauve purple with subtle grey tones - I think this one might be my new go-to pink tone, how beautiful is it?! STOP, DROP & SHOP | metropolitan mulberry red - this shade is stunning and I am going to put it on my nails ASAP. 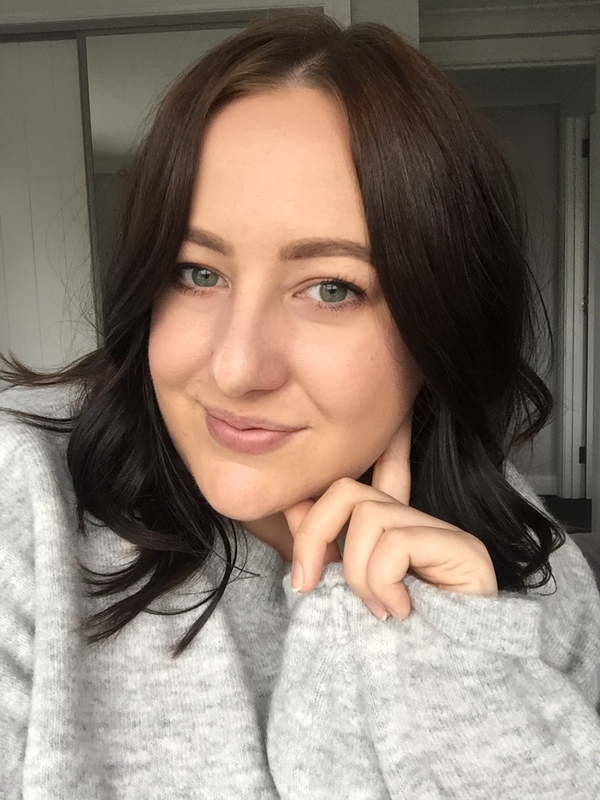 BOOTIES ON BROADWAY | dark navy blue - this reminds me of one of my favourite essie shades After School Boy Blazer, except this one is a little bit lighter and is obviously a navy blue as ASBB can look almost black. This is going to be a staple during the cooler months. FALL FOR NYC | mustard yellow with marigold highlights - this is unlike any yellow I have in my collection or that I have seen before. It totally encapsulates what Autumn! SAY IT AIN'T SOHO | metallic copper nail polish with crisp amber tones. This is Autumn in a bottle; it might not be a shade I will reach for all the time but I think it's really unique. EMPIRE SHADE OF MIND | asphalt metallic silver - I have a couple of shades very similar to this but this one seems a lot smoother. With the gel-setter top coat overtop this will look amazing! If you like the look of this collection, check out your local department store or pharmacy and nab a bottle for NZD $17.99. I can't wait to get these shades on my nails! What shade would you go for?